Halkidiki holidays are known for being in the three-pronged fork-shaped area to the north of mainland Greece. 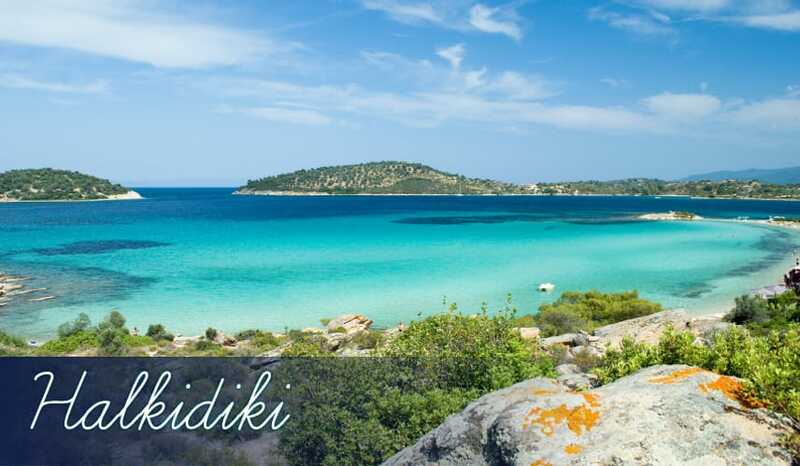 In fact, whilst Halikidiki holidays are fairly far from Athens, Halkidiki holidays are still considered to be on part of the mainland as Halikidiki is not actually separated by sea. Anyhow, if you choose to have your holidays in Halkidiki it’s highly likely you’ll be having your holidays on the first of the three peninsulas, named Kassandra. This long narrow stretch of land has both Nea Moudania to its north and Pefkohori to its south, so it’s just a case of which environment and atmosphere you prefer for your Halkidiki holidays.